SAN DIEGO, CA – February 25, 2014 – Rock ‘n’ Roll Marathon Series and GU Energy Labs launched a GUMOCRACY campaign for runners and fans to vote on their favorite new GU Energy Gel flavor by February 28. GU developed three flavors – Salted Watermelon, Caramel Macchiato and Apple Cinnamon – specifically for the new flavor voting campaign. Only one flavor will be chosen as the official on-course flavor. GU Energy is the official energy gel and chew of the Rock and Roll Marathon Series. With 12 official flavors in production, GU Energy Labs is making room for a “lucky” 13th which will be coined the Official GU Flavor of the Rock ‘n’ Roll Marathon Series. The winning flavor will be announced in March and launched on June 1 at all Rock ‘n’ Roll Marathon Series races starting with the 2014 Rock ‘n’ Roll San Diego Marathon & ½ Marathon to Benefit The Leukemia & Lymphoma Society. In conjunction with voting on their favorite flavor, fans are also encouraged to share votes by uploading photos to Instagram or GUMOCRACY.com indicating their favorite flavor with hashtag: #GUMOCRACYRED (Apple Cinnamon), #GUMOCRACYGREEN (Salted Watermelon) or #GUMOCRACYGOLD (Caramel Macchiato). The 10 photos to receive the most votes by February 28 will receive a box of the official GU of the Rock ‘n’ Roll Marathon Series. GU Energy Gel, the original energy gel, was developed in 1993 in Berkeley, California. 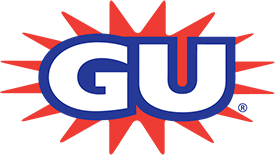 To this day, GU remains the market share leader by a margin of more than two to one, and is still the premium gel available to endurance athletes. GU, Roctane, Chomps and Brew are designed to provide athletes with scientifically-based, performance-tested nutrition. For more information about GU, visit www.GUenergy.com.